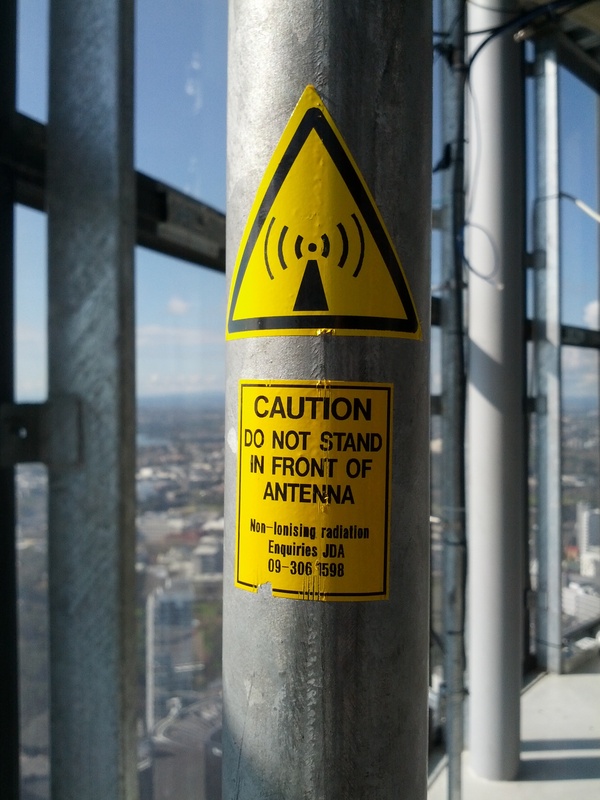 For my last day at work, I was lucky enough to get a task to go up the Auckland Sky Tower to perform some maintenance in the data center up there – despite living in Auckland for the past 12 months, I hadn’t yet gone up the sky tower; no thanks to the excessively high fees to visit the viewing deck. 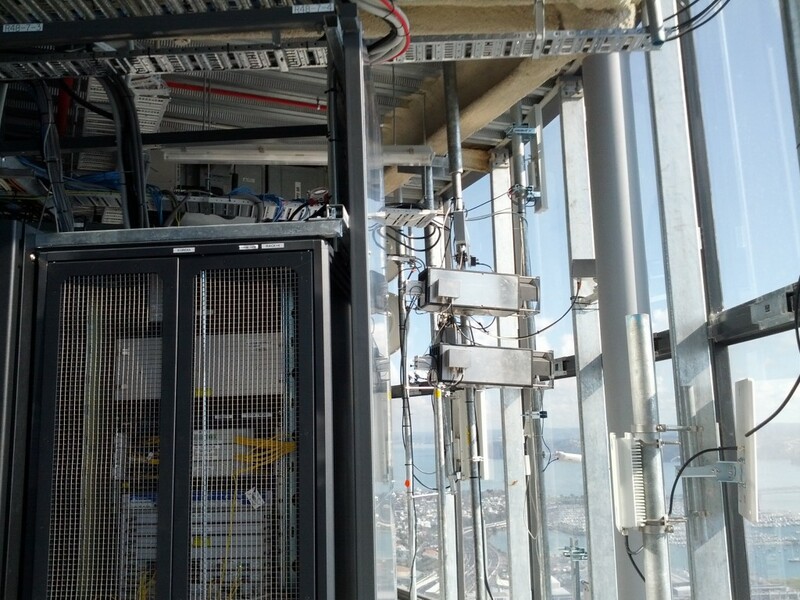 The Auckland Sky Tower Data Center is located high up on levels 47 and 48 and is a popular location for routers and peering, thanks to the great line of sight range for any wireless telcos or microwave point-to-point links and is also the home of the Auckland Peering Exchange. 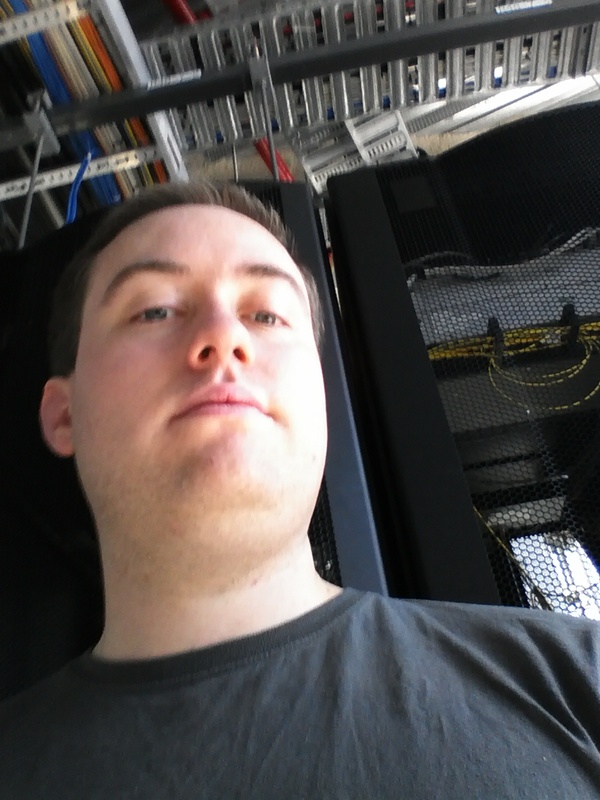 It’s one of the weirder data centers I’ve been in to thanks to the floor to ceiling windows with sun streaming in and the odd bungy jumper flying past the windows on the northern side. I got some great pictures out over the city from up there – sorry no rack pictures however, didn’t want to upset anyone by posting pictures of their racked equipment. They’re beaming the bits into my brain! Looking out over the Viaduct with Takapuna in the distance. 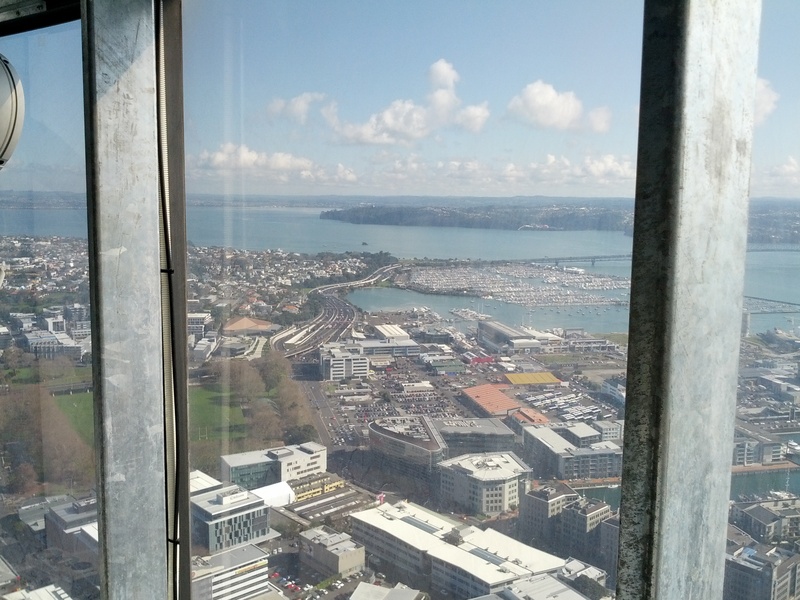 Looking over the CBD – the line in the middle of the picture is the bungy jump wire. 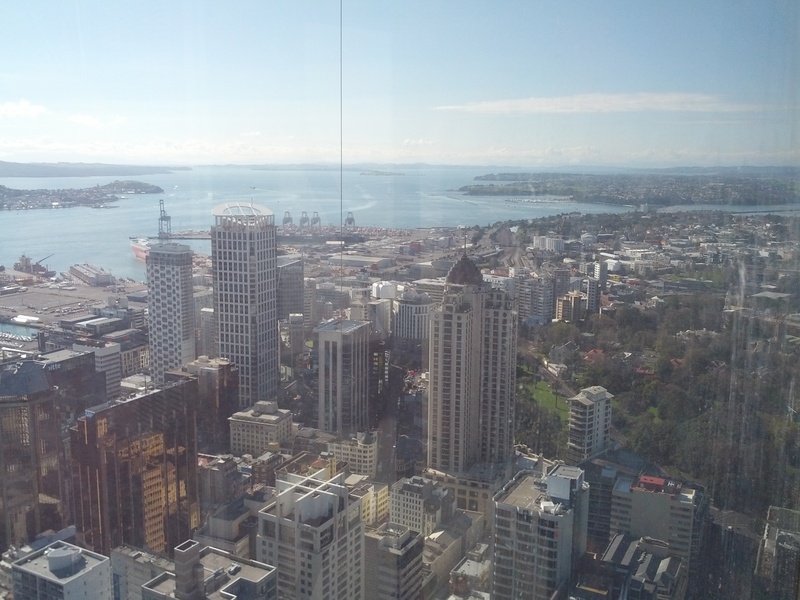 Middle of the CBD and the port. 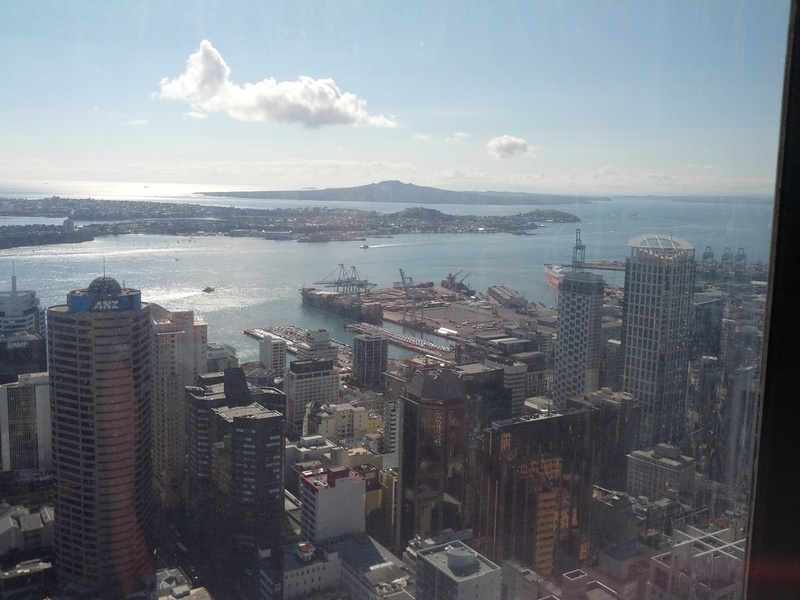 Devonport in the distance, with Rangitoto behind that. 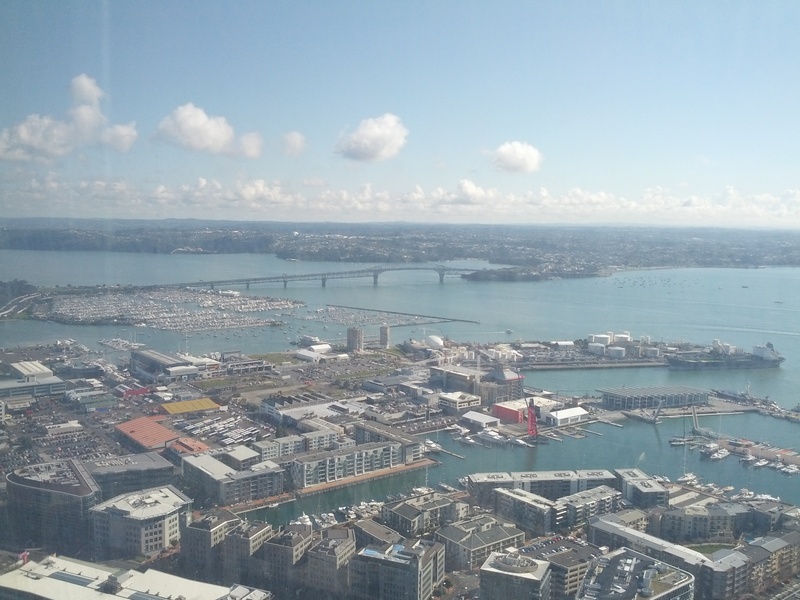 Auckland harbor bridge and the viaduct. Motorway to the south of the harbor bridge. 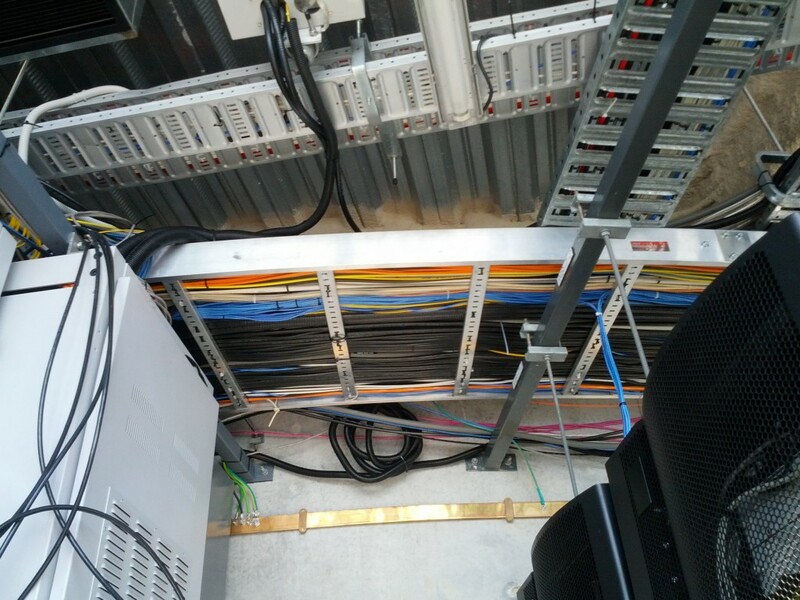 When I buy a house I’m totally installing cable run trays like this for all my servers. 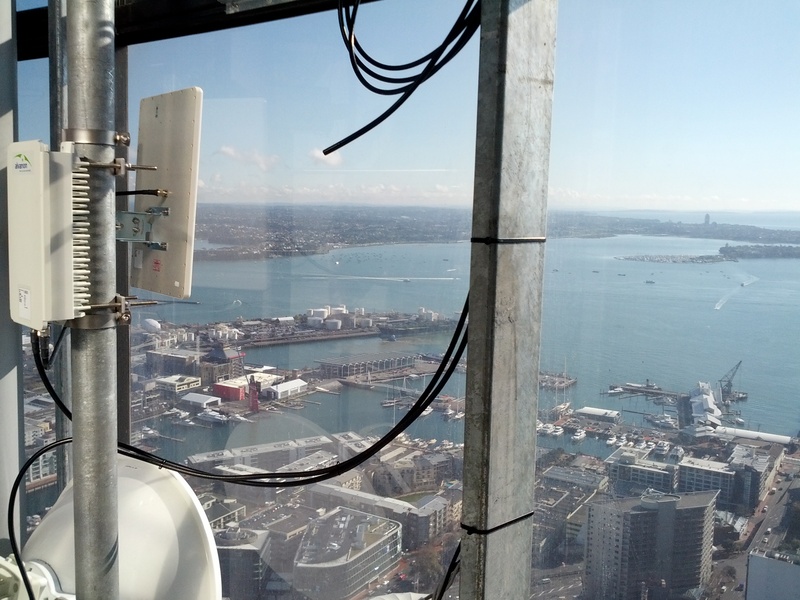 This entry was posted in Uncategorized and tagged antennas, APX, auckland, microwave, sky tower, travel. Bookmark the permalink. 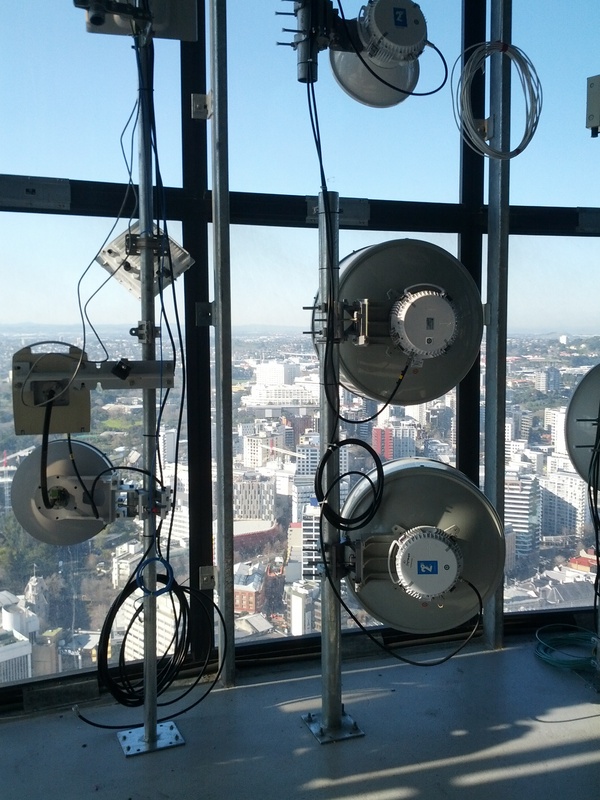 Those weird looking microwave transmitters are LED optical transmitters, the other pair for them are at bayswater marina, its used for linking the TV Cameras that film the skytower from the marina, and the one from skytower that is shown on breakfast, and the weather for TVNZ, when they do the from skytower, or the city shot.